Wastewater Alternatives Inc. (WAI), was founded in 1992 by Harold Davis who saw the need to have a subsurface disposal system that could treat wastewater in an environmentally friendly manner and be cost effective. 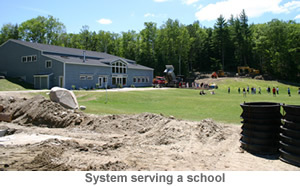 THE CLEAN SOLUTION system was first tested in 1992 with the first system installed in Rindge, New Hampshire in 1995. Currently, WAI installs over 100 systems each year throughout NH, ME, MA and VT treating the wastewater from small single family homes, to multifamily developments, restaurants and other commercial applications. 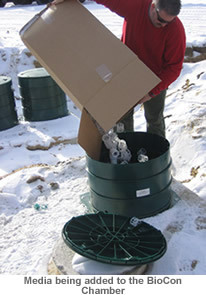 From the time the first CLEAN SOLUTION system was installed, WAI has had one basic principle, “customer satisfaction”. WAI continues to follow that principle and has added new members to its team over the years to maintain the same level of service to its clients that has been WAI’s hallmark. The staff at WAI has experience in all phases of development from conceptual layout through permitting and construction. Please call and have one of our staff members work with you to see how you can benefit from using THE CLEAN SOLUTION system.